I'm sure there are a hundred different ways to make wind socks. 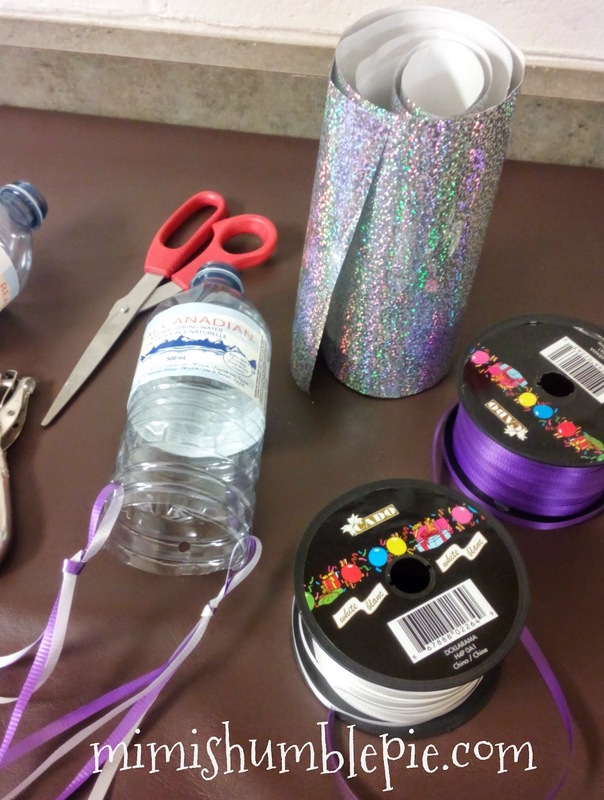 They are usually made with fabric but I collect water bottles to use for many crafts and came up with a way to make a type of wind sock with empty bottles. Empty water bottle with the bottom cut off. 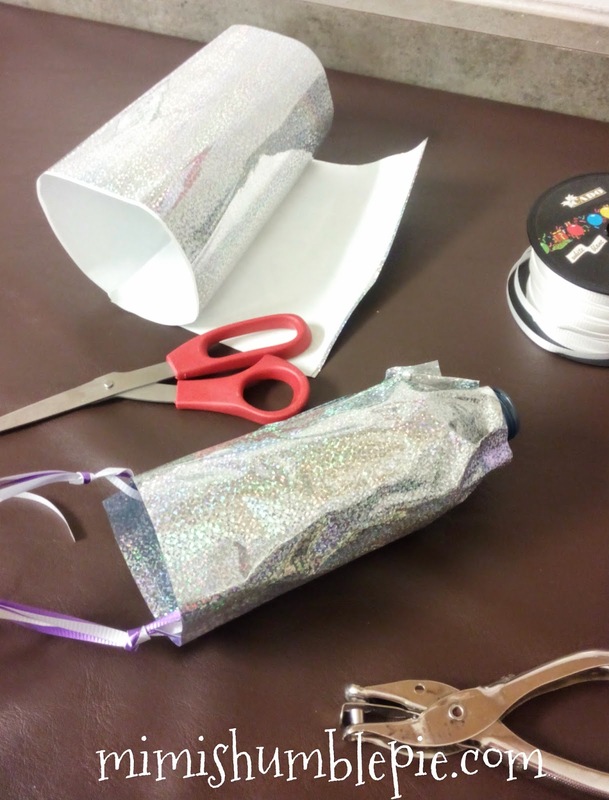 Use a single hole punch to put holes near the bottom of the bottle. Colourful Ribbon cut in 20 inch strings. These will make the “tails” of the wind sock. Sparkly mactac cut to cover the circumference of the bottle. Twine, tied around the neck of the bottle to hang it in the tree. Observation skills- Looking at the effects of wind on objects. Visual stimulation- Bright colours help cheer up the outdoor play space in absence of leaves, greenery and flowers.